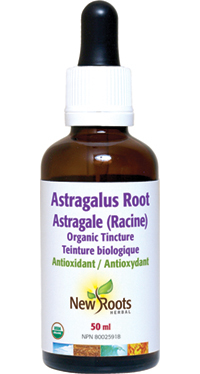 Traditionally steeped in small batches with organic sugar-cane alcohol, certified organic Astragalus Root liquid extract is a versatile, bioavailable form of dosage for this cornerstone botanical of traditional Chinese medicine. Astragalus is revered for its robust antioxidant action, with a mosaic of constituents which include polysaccharides, triterpene glycosides, flavonoids, amino acids, and trace minerals. This wealth of therapeutic compounds rank astragalus among the most common nutrients in herbal formulas for general health along with a diverse range of therapeutic applications. Shake well. Adults: Take 1 teaspoon daily or as directed by your health-care practitioner.